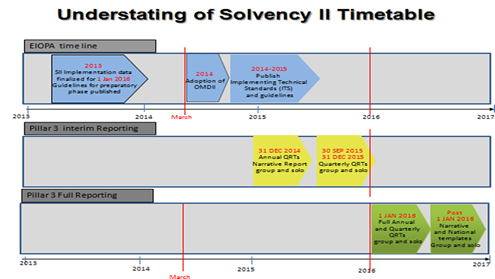 On 31 January 2014, EIOPA has set up the timeline for the delivery of the Solvency II Implementing Technical Standards and Guidelines. The overall goal of the project is to deliver the regulatory and supervisory framework for the technical implementation of the Solvency II regime from the first day of application, 1 January 2016. It is of high importance to ensure a timely and proportionate application of Solvency II. The key products of this project will be the Implementing Technical Standards (ITS)1 and the Guidelines2 for Solvency II. There have been delays in finalization of the OMD II (Omnibus directive II that complements Solvency II) and publishing the implementing technical standards. Therefore, EIOPA has prescribed a preparatory Phase and an implementation date of 01 Jan 2016. During the preparatory phase, insurance companies need to provide interim reporting that cover some of the reporting templates. After the implementation date, insurance companies will need to do full reporting that include all the reporting templates. Please find the snapshot of Timetable and Solvency 2 Pillar 3 requirements. Quantitative Management Reporting (QMR) is a pre-built application for Oracle Financial Close Suite specifically to address Solvency II reporting requirements. QMR will perform all the necessary calculations/aggregations/consolidations logic based on the necessary risk and actuarial data to produce the Solvency II reports. 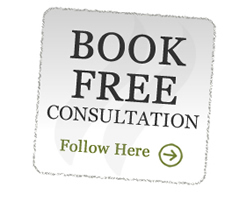 Our specialist team in B&S will work closely with you to help you in designing and configuring this product to provide you an effective solution. We have quite a few very experienced Oracle Hyperion profesionals who can work with you to provide cost effective solution.